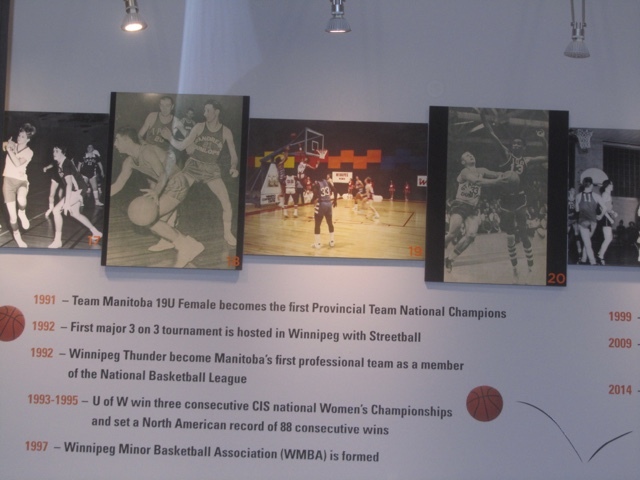 Just in time for the holidays and the 49th Wesmen Classic, the Manitoba Basketball Hall of Fame and Museum announces some new exhibits for all fans to enjoy. 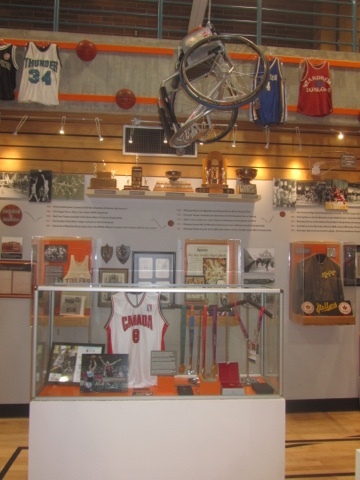 One of the cases is proud to feature a display celebrating wheelchair basketball and, specifically, the outstanding career of Joey Johnson who was inducted into the Hall of Fame in 2013 and may be the most accomplished basketball athlete ever. 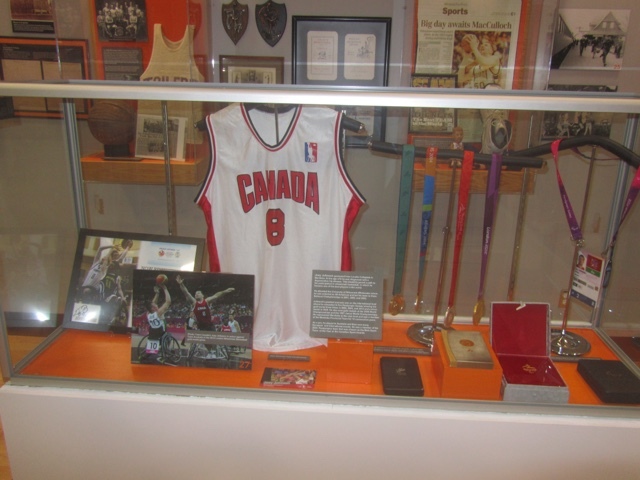 Visitors will see four of Joey's medals from Paralympics and World Championships, his uniform from Team Canada and an actual wheelchair used in professional and international competitions. 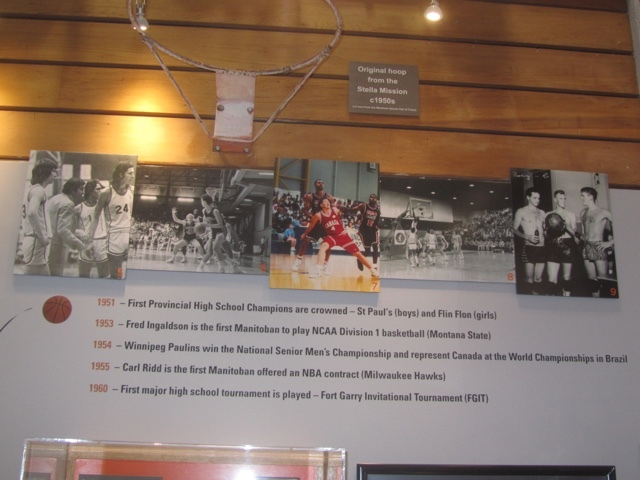 In addition, now on display are a series of 29 action or game photographs (all 11" x 14"), with captions,representing different eras and featuring many of our honoured members. The collection, all mounted on foamcore, give our site something that has been missing - a sense of the action of the game. 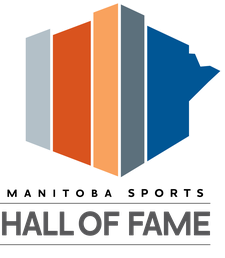 Manitoba is still the only province in Canada with a permanent site for a basketball hall of fame and we are justifiably proud of it. 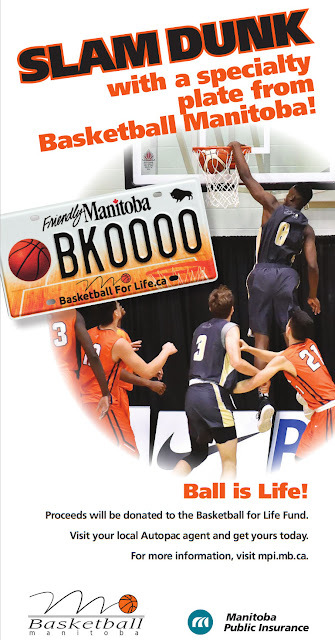 Be sure to check it out over holidays or in the new year.